Samoa Joe is many things. A multiple time wrestling champion. A Samoan Submission Specialist. A Destroyer. 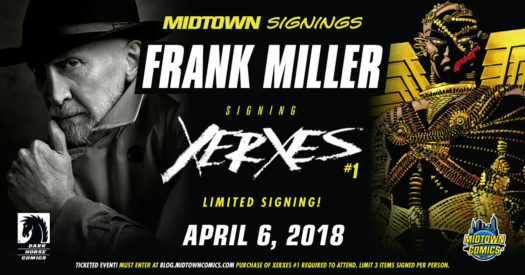 And he’s coming to Midtown Comics! That’s right, Samoa Joe is challenging for the WWE Universal Championship this Sunday at Summerslam and to celebrate the biggest party of the summer, Samoa Joe will be stopping by and signing the sensational WWE Summerslam 2017 Special #1 from BOOM! Studios. Want to win a ticket to the event? Just enter below! This is a LIMITED SIGNING EVENT. You may ONLY attend if you win a ticket via the raffle below. Winners will be notified by Friday, August 18th at 2:00 PM EST. Winners MUST respond via email that they will be attending by Friday August 18th at 5:00 PM EST in order to allowed into the event. Purchase of WWE Summerslam 2017 Special #1 is REQUIRED at the venue of the event upon arrival. Now, are you ready to meet “the Destroyer” Samoa Joe? 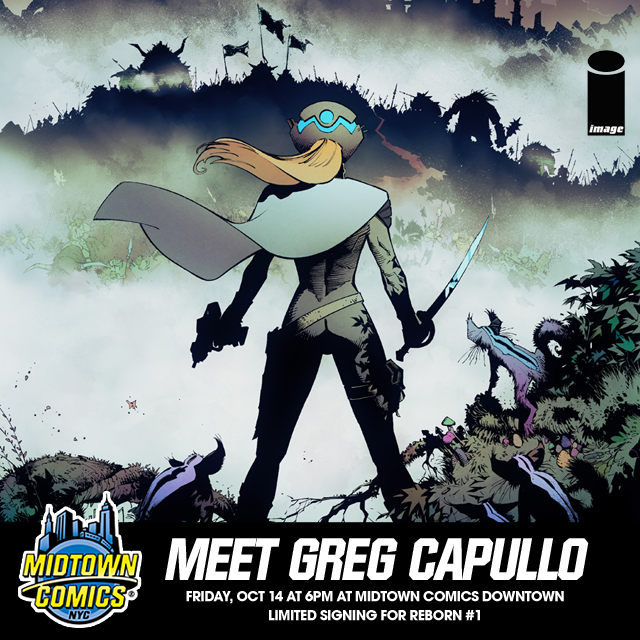 Awesome artist Greg Capullo is going to visit Midtown Comics Downtown to celebrate the release of Reborn #1, his Image Comics series with writer Mark Millar! The cool creator will sign for two hours, and you – yes, you – have a chance to win a ticket to the signing! Enter below. Good luck, everyone! Reborn #1 goes on sale 10/12. Win a ticket to the All Star Batman #1 signing with Scott Snyder! 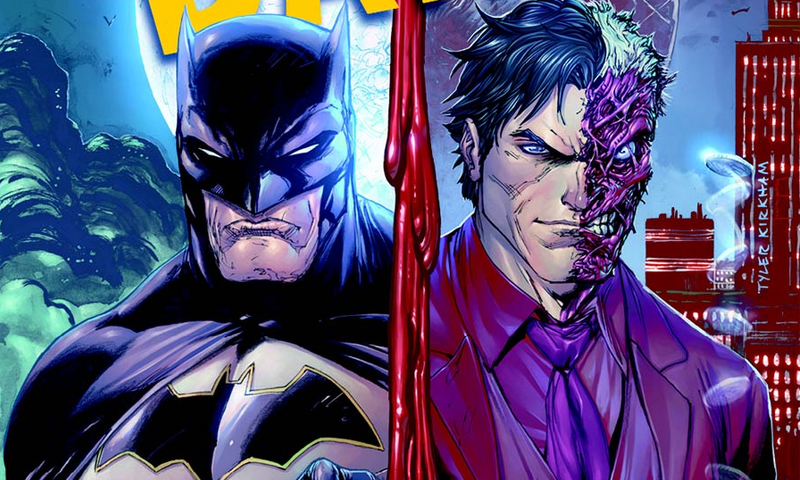 Scott Snyder returns to Batman’s world, and he’s teaming-up with artist John Romita Jr.! The first issue of All Star Batman will be available on August 10th, and the wonderful writer will be at Midtown Comics Downtown to celebrate the debut issue of his new comic with the Caped Crusader! 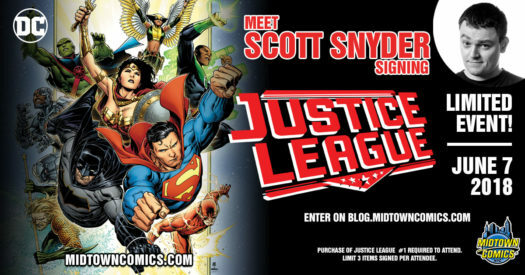 Do you want to meet him and get some comics signed? We think it’s pretty safe to assume the answer is yes! Well, all you need to do is enter the contest below.